3D mammography will directly influence our ability to detect and treat cancer early, when it is most curable. This advanced technology will bring more accurate information, better outcomes, and the promise of a better future to many patients. 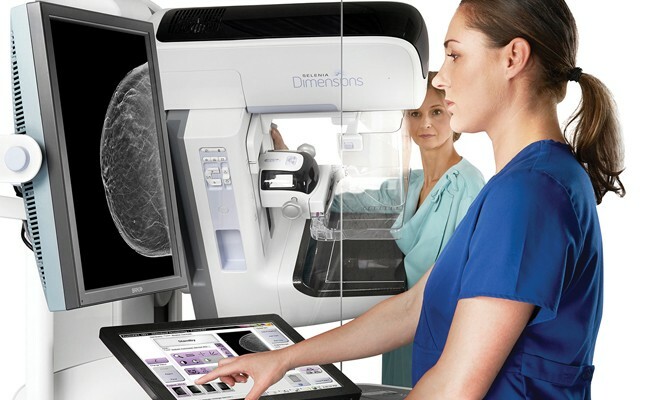 Q: What Exactly is 3D Mammography? A: A new screening and diagnostic breast imaging tool that allows doctors to see masses and distortions associated with cancers significantly more clearly. A: An X-ray arm sweeps over the breast, taking multiple images at many different angles in seconds. Q: What’s the Difference between 2D and 3D Mammography? A: Conventional 2D mammography produces a single, flat image of the breast. In about the same amount of time and with the same or improved comfort, 3D technology takes multiple images of thin cross sections of the breast. The final compiled 3D image is not only crisp and sharply defined – radiologists can actually view the tissue one millimeter (mm) at a time. Q:What are the Benefits of 3D? Q: Am I a Candidate for 3D Mammography? A: Women with dense, hard-to-image breasts and/or those with a history of breast cancer are the best candidates for 3D mammography. If you are a woman age 40 and older, and are preparing to make your annual mammogram appointment, talk to your doctor about 3D mammography to see if it may be right for you. Q: Is 3D Mammography Covered by Insurance? A: The screening may be covered 100% by your health insurance provider, however, it is always a good idea to check with them before you schedule an appointment. In some cases, a co-pay may be required. Q: Why Should I Get Screened? A: Breast cancer is nearly 100% curable if caught early. I think that is a pretty good reason in and of itself! Please mention you read about 3D mammography in The Women’s Journal. • Breast cancer is the second-leading cancer killer of Delaware women. 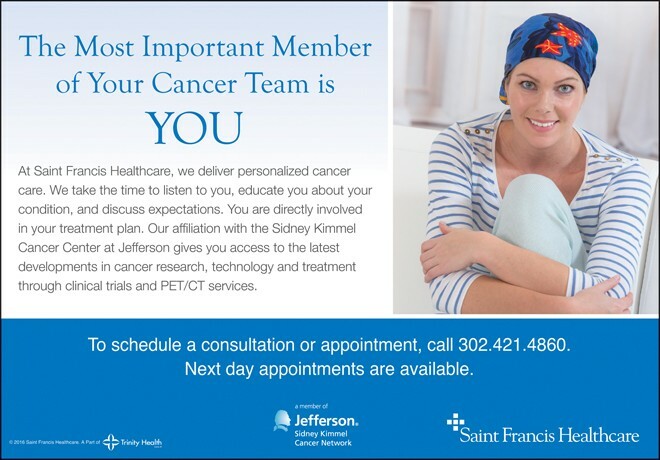 • One-third of breast cancer diagnoses in Delaware are for late-stage cancer. Dr. Erev Tubb is Chief of Hematology and Medical Oncology at Saint Francis Healthcare. To learn more about 3D, or to make an appointment, call 302.421.4141.